Why did online auction start-up Auctionata close after burning $95.6 million in venture capital if it purportedly was online global leader in art and luxury collectibles? Truth be told, neither Auctionata nor Paddle8 was ever global leader of anything. Auctionata's problems stem from a massive scam of fraud, lies, exaggeration, hyperbole and insider trading orchestrated with precision by former CEO Alexander Zacke and his wife Susanne Zacke, which according to the recently released KPMG audit of Auctionata, extend into Zacke's family, including his mother Irene and his son Maximilian Zacke. An objective financial accounting will show Auctionata's astonishing sales and purported record growth vs. prior years was pure fiction. The fact is none of Auctionata's so called record online sale achievements were ever supported by actual sales. Unlike Sotheby's and Christie's, Auctionata never released any detailed data. Most alarming, actual auction results published on Live Auctioneers don't corroborate the erroneous record sales cited in Auctionata press releases which were in turn picked up by the international press, which failed to confirm via any due diligence. 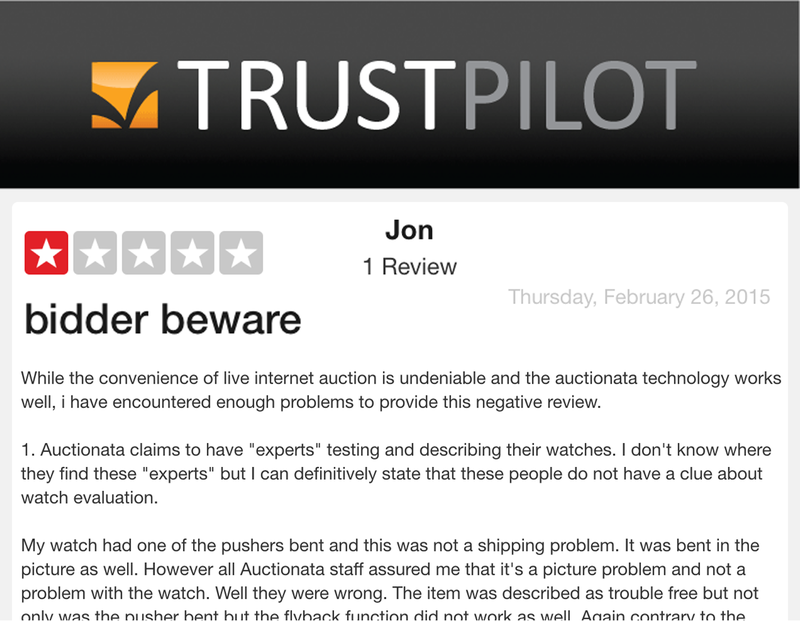 "Hyperbole, documentation errors, mistakes, accepted norm at Auctionata. The analysis showed the Auctionata guarantee was largely a publicity stunt and hardly a guarantee of anything because the Auctionata terms & conditions exclusions void 25-year-Auctionata guarantee. We also noted that hyperbole, exaggeration, errors and omissions are routine at Auctionata. It appears the majority of Auctionata communication was simply regurgitated, becoming propaganda, accepted without equivocation by the American press, including: Forbes, Skates, The New York Times, Luxury Daily, e-commerce bytes." Auctionata was never global leader of anything. In 2014, Auctionata erroneously alleged record sales with a 70% sold through rate communicated to the press. But, according to data only available at Live Auctioneers and not Auctionata itself, the unsold lot rate was actually 41.2% for 12,091 lots offered at Auctionata AG and Auctionata Inc. Unsold rates in New York where the company launched in October 2014 were even worse; for the balance of 2014, the unsold rate in New York was 58.8% and some NY auctions, like African & Oceanic art, where ONLY 6 lots sold, exceeded 90% unsold. Clearly, Auctionata management was never objective about its poor New York performance. Factor in the consistent gang of negative reviews from buyers who claimed they would never do business again proves the strong growth touted by then CEO Alexander Zacke was just a fantasy. For the two years between 2014-2015, only 11 of the top 33 Auctionata lots that sold for over €91,000 were art. 10 lots sold over €91,000 were watches/clocks, a partnership with Chrono24. 8 lots sold over €91,000 were cars. In addition, Auctionata deceptively erased 44 unsold photography lots in its 2/26/15 auction. In 2014, Ben Hartley, then International managing director at Auctionata erroneously boasted most Auctionata lots sell between $5,000 and $20,000. However, the truth is during 2014, Auctionata ONLY sold 193 auction lots priced between $5,000 and $20,000, out of a total universe of 8,255 lots sold in Germany and New York, translating to just 2.3% of all lots sold. Regarding New York sales, based on limited results available, Auctionata sold only 34 lots during 2014, of which 6 were between $5,000 and $20,000. Most surprising, Auctionata sold a staggering 1,840 lots under $50.00, representing 22% of ALL Auctionata lots sold in 2014, contrary to its 2/15 press release stating there is "demand in the mid-market range for art and luxury collectibles that is not being met." In our judgment, every $50 lot sold by Auctionata had an incremental administrative cost of at least $125 per lot. And we stated that to avoid unnecessary financial ruin, it behooves Auctionata to immediately cease selling low-end lots under $150-$250, which will never be profitable even with their almost 50% combined commission rate from buyers and sellers. After all, Auctionata was just burning money and filling the pockets of Alexander Zacke as it was building auction studios around the world; had a team of over 300 employees and 300 experts, etc. In 2015, Auctionata purportedly sold 5 art lots for over $200K, each with competing bids, yet all were mysteriously erased from sold auction results, including a mediocre Claude Monet and Paul Klee, even though Live Auctioneers showed numerous competing bids, all above the respective low estimates, obviously shill bids created to falsify results. The same exists for numerous 2015 lots in other categories such as cars, watches, clocks, etc., many also apparently sold with competing bids, yet all magically erased after their respective auctions, an issue not addressed in the KPMG audit. Although press releases subsequent to the KPMG merger and recent bankruptcy announcement stress transparency, nothing could be further from the truth. 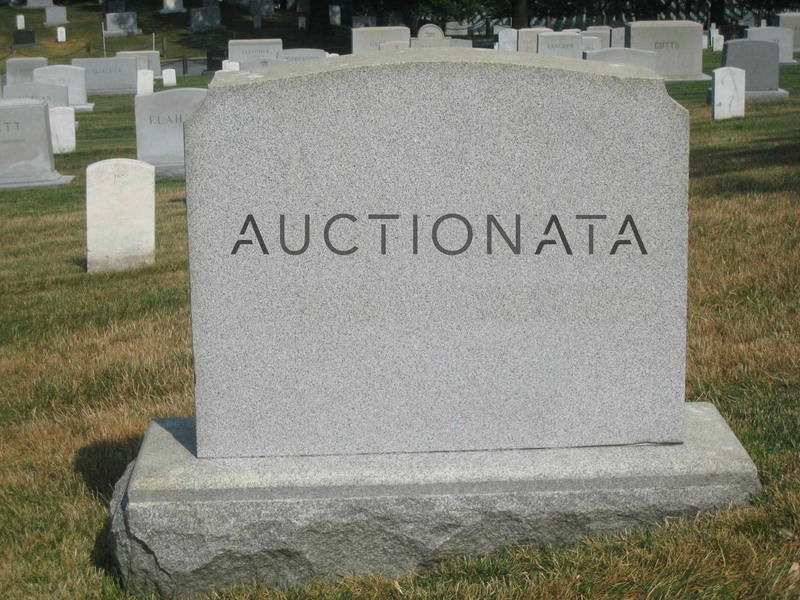 Auctionata consistently made a habit of purging all negative information, like every unsold lot from its website, although Auctionata was unable to eliminate unsold lot results from Live Auctioneers. In fact, financial results were never released publicly at Auctionata either before or after the KPMG audit that promised transparency. It is incomprehensible the extent in which investors have been unable to carefully review financial results on either a macro or micro basis. Most disturbing is the overt disregard to authenticity and ethics which is the single most cited complaint among auction and store buyers at Auctionata. 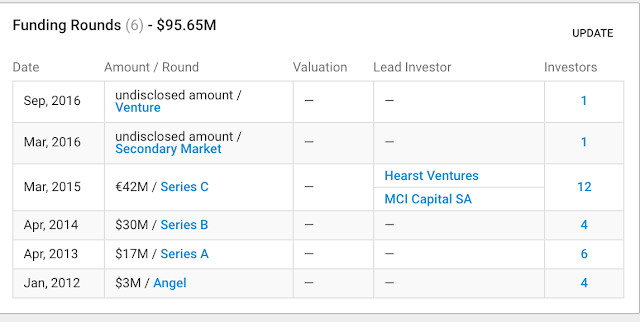 Auctionata's investors were largely unaware or condoned Alexander Zacke's shocking lack of ethics, management inexperience and naivety about art and the online auction market because they continued to provide five rounds of venture capital funds even though there was no corroborating sales support. CEO Thomas Hess correctly stated: "Auctionata did not have the leadership it needed for a long time," regarding founder Alexander Zacke, although truth is Auctionata never had the leadership. 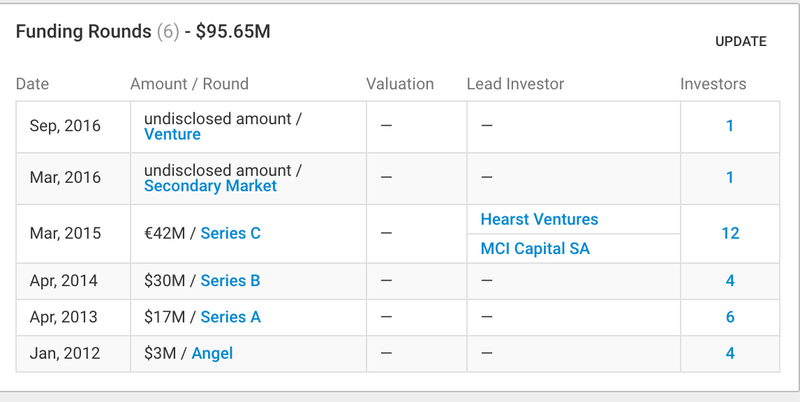 According to crunchbase, investors have lost over $146.1 million in both firms; Auctionata burned over $95.6 million in venture capital since 2012 and Paddle8 the company Auctionata merged with in 2016, has burned over $51 million in venture capital since 2011 and continues to burn more funds after just getting a $15 million investment to finance its separation from Auctionata. Why wasn't Alexander Zacke, his wife Susanne Zacke & complicit members of its supervisory board dismissed for fraud? Why wasn't Alexander Zacke, his wife Susanne Zacke and complicit members of its supervisory board immediately dismissed after results of the KPMG audit indicated massive patterns of fraud by the Zackes, inappropriate consignments and buying by his mother Irene & son Maximilian Zacke? Although the KPMG audit indicated without equivocation Alexander Zacke, his wife and other members of the supervisory board, investors and employees, have repeatedly acquired objects through the auctions of the start-up company, under their own name or under pseudonyms, Alexander and Susanne Zacke continued to work for Auctionata until October 2016. Former CEO Alexander Zacke and Auctionata disingenuously stated results of the KPMG audit were transparent, when the facts show otherwise. In fact, Alexander Zacke suppressed the results of the KPMG audit; never released the findings publicly and clearly misled Paddle8 management in its merger. Auctionata's response to the KPMG audit was hardly transparent nor honest. Robert Grunder and Joseph K. Levene co-authored "Auctionata & Paddle8 merge despite serious trade violations by CEO". In this article for The Fine Art Blog, we referenced Alexander Zacke's lame excuse where he stated "Our bidding activity in 2013 and 2014 during which we bought some paintings and other things was […] to decorate our Berlin apartment; others also made purchases for similar reasons." Zacke statement: disingenuously defends the egregious civil and criminal activity stating: "Naturally we made mistakes in the beginning, but such mistakes are common in start-ups. It would be rather astounding had this not been the case." The KPMG audit indicates the Zacke's implemented the Auctionata scam by buying and consigning material which helped inflate auction results right from the beginning of the company's launch. The KPMG audit indicated the scam included numerous instances of shill bids, hyperbole, conflicts of interest, poor evaluation procedures, fraudulent material along with a meaningless 25 guarantee that up until the KPMG audit, was never questioned by either its numerous investors and/or the international press. There is no question Zacke's scam was abetted by the international press who never challenged Auctionata's erroneous growth. Alexander Zacke never had requisite experience to be CEO of online start-up Auctionata. It is incredible no one had the foresight to say, wait a second, what does Alexander Zacke know about running a complex online art business where ethics and transparency are vital? Only the German press hinted at Alexander Zacke's mysterious dismissal as Dorotheum Asian art department head. Auctionata's investors were either unaware or condoned the ethics violations Alexander Zacke committed as Dorotheum Asian art department head as well as Zacke's shady eBay history. Alexander Zacke claimed to be a major eBay seller yet his listings and sales were never public. In fact, Alcxander Zacke always sold lots on eBay via private listings which in turn precluded buyers ability to ever see final selling prices of all items that are listed privately on eBay. 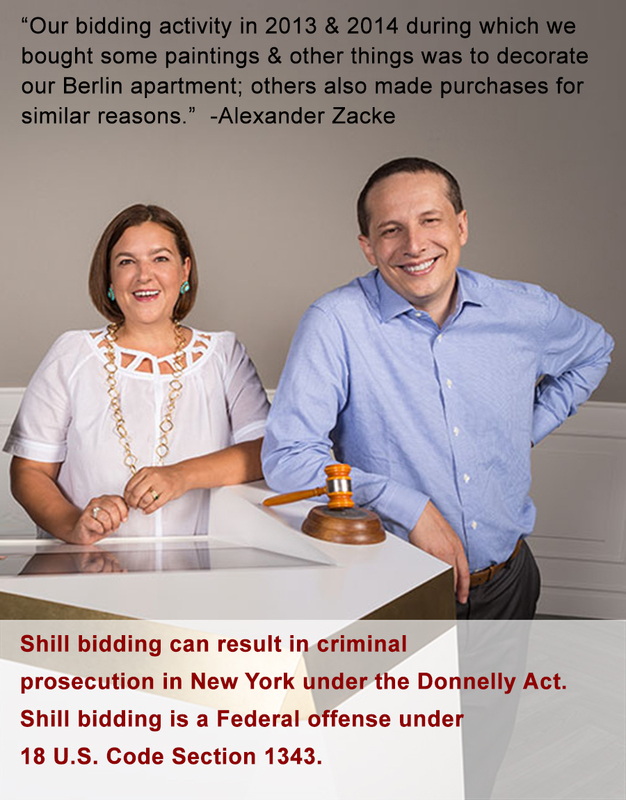 In addition, private listings were the favorite choice of scam eBay sellers who manipulated prices via shill bids, as buyer names were never disclosed and sellers could either bid themselves or have friends and/or family members bid items up. The KPMG audit indicated the scam included numerous instances of shill bids, hyperbole, conflicts of interest, poor evaluation procedures, fraudulent material along with a meaningless 25 guarantee that up until the KPMG audit, was not challenged. For the sake of Auctionata's investors and to aid in a potential criminal investigation, Auctionata should issue revised financials for 2013-2015 purging all lots with shill bids including those manipulated with bots by Alexander & Susanne Zacke along with settlements paid to customers affected. Given the scope of the accusations detailed in the KPMG audit, it wouldn't surprise us if Auctionata investors request criminal prosecution of Alexander and Susanne Zacke and the board of directors who failed to operate without prejudice in an arms length manner. Former CEO Thomas Hesse blames former CEO Alexander Zacke for contributing to the insolvency with the takeover of Paddle8. He says "The merger of Auctionata and Paddle8 cost a lot of money," says Hesse. The truth is the problems started well before the Paddle8 merger, and Alexander Zacke used the merger to hide the results of the KPMG audit. With liquidation proceedings beginning on March 1, 2017, this sad scam comes to an end. Hopefully, German authorities will pursue criminal charges against Alexander and Susanne Zacke as well as other complicit board members for their extensive violations of German law.